Ads relevant to page content on third party sites brokered by search ad networks. Pay-per-click (PPC) search marketing or paid listings are similar to conventional advertising; here a relevant text ad with a link to a company page is displayed when the user of a search engine types in a specific phrase. A series of text ads usually labelled as 'sponsored links' are displayed as is shown on the right of Figure 8.15(a). Unlike conventional advertising, the advertiser doesn't pay when the ad is displayed, but only when the ad is clicked on which then leads to a visit to the advertiser's web site - hence pay per click! Most clicks result in a visit to the site, although there may be a small (usually less than 5-10%) attrition. The relative ranking of these 'paid performance placements' is typically based on the highest bidded cost-per-click value for each keyword phrase. 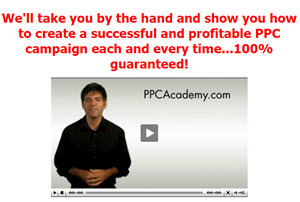 The company which is prepared to pay the most per click gets top spot. Google also takes the relative clickthrough rates of the ads into account when ranking the sponsored links, so ads which do not appear relevant, because fewer people are clicking on them, will drop down or may even disappear off the listing. Paid search listings, or sponsored links, are very important to achieve visibility in all search engines when an organisation is in a competitive market. 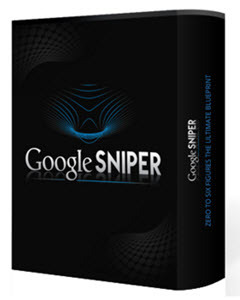 If, for example, a company is promoting online insurance, gambling or retail products, there will be many companies competing using the search engine optimisation techniques described in the previous section. Often, the companies that are appearing at the top of the listing will be small companies or affiliates (see section later in chapter). Such companies are less constrained by branding guidelines and may be able to use less ethical search engine marketing techniques which are close to search engine spamming. 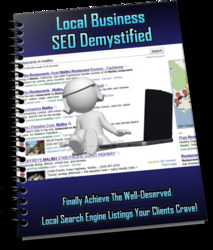 If you look at sites near the top of the listings for any of the keyphrases above, you will find that they are often ugly pages which look bad, but that search engines like. Furthermore, smaller organisations can be more nimble, they can respond faster to changes in search engine ranking algorithms, sometimes referred to as the 'Google dance' by changing the look and feel or structure of their site. Paid listings are also available through the 'content networks' of the search engines such as Google Adsense and Yahoo! Content Match. These contextual ads are automatically displayed according to the page content (see www.davechaffey.com for examples). They can be paid for on a CPC or CPM basis. To participate in PPC, clients or their agencies commonly use PPC ad networks or brokers to place and report on pay-per-click ads on different search engines. Two of the most important PPC ad networks are Yahoo! search services (formerly known as Overture, www.overture.com) and MIVA (www.miva.com). For example, in Europe, in 2004, placing an ad on Overture would enable advertisers to display the ad on Yahoo!, MSN and ISP Wanadoo/Orange Broadband. It is necessary to deal direct with Google who have their own PPC ad programme known as 'Google Adwords™' (http://adwords.aooale.com). A minimum bid of 10 pence is typical, with a maximum capping on bids and amounts spent per month possible. If this sounds cheap, remember that some marketers spend millions annually on search marketing for a wide range of keyphrases. For products with a high potential value to the company such as life insurance, the cost per click can, amazingly, exceed €20! With PPC, as for any other media, media buyers carefully evaluate the advertising costs in relation to the initial purchase value or lifetime value they feel they will achieve from the average customer. As well as considering the cost-per-click (CPC), you need to think about the conversion rate when the visitor arrives at your site. Clearly, an ad could be effective in generating clickthroughs or traffic, but not achieve the outcome required on the web site such as generating a lead or online sale. This could be because there is a poor-incentive call-to-action or the profile of the visitors is simply wrong. One implication of this is that it will often be more cost-effective if targeted microsites or landing pages are created specifically for certain keyphrases to convert users to making an enquiry or sale. These can be part of the site structure, so clicking on a 'car insurance' ad will take the visitor through to the car insurance page on a site rather than a home page. Table 8.3 shows how cost-per-click differs between different keywords from generic to specific. It also shows the impact of different conversion rates on the overall CPA. It can be seen that niche terms that better indicate interest in a specific product such as 'woman car insurance' demand a higher fee (this may not be true for less competitive categories where niche terms can be cheaper). The table also shows the cost of PPC search in competitive categories. 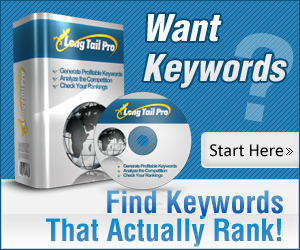 Advertising just on these four keywords to achieve a high ranking would cost €33,000 in a single day! Given the range in costs, two types of strategy can be pursued in PPC search engine advertising. If budget permits, a premium strategy can be followed to compete with the major competitors who are bidding the highest amounts on popular keywords. Such a strategy is based on being able to achieve an acceptable conversion rate once the customers are driven through to the web site. A lower-cost strategy involves bidding on lower-cost, less popular phrases. These will generate less traffic, so it will be necessary to devise a lot of these phrases to match the traffic from premium keywords.